To build the spirit of diversity and inclusion into your company culture using effective employee communications tactics, you need a plan that doesn’t skirt the big issues and builds an understanding in all your employees that they all matter and are expected to contribute to the company mission and goals. 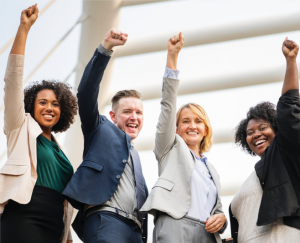 It’s not easy to create this kind of atmosphere in today’s work and political climate, but when it comes to getting things done, you and your employees have much more in common than you might think. When you set out to build a diverse and inclusive workplace for everyone, remember that you’re not trying to solve all injustices in the world around you. Protesting inequality and marching for the rights of marginalized groups in our larger society must be done outside of work. Focus on what you can control and understand your true goal: making everyone feel welcome at work so everyone contributes and no one is left disgruntled and underutilized. No one wants to feel like their input has no merit or isn’t being listened to for any reason. Next, understand that you’re the spearhead of this diversity movement in your workplace. You won’t need to stage sit-ins or protests of any kind, but as the point person, you must in some way acknowledge your own appearance or racial background, no matter your skin tone. Diversity and inclusion are important in any workplace, no matter what the ethnic, sexual orientation, or gender demographics might be. Taking ownership of your own identity broaches the tough subject of race and racial identity. 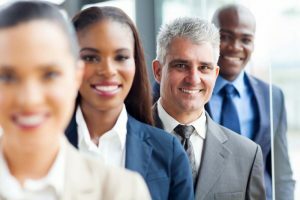 We have a unique way of looking at race and ethnicity in the US, and the first step to working better with all kinds of people is leadership not avoiding issues, incidents, and injustices that concern their employees of all backgrounds. You can’t hide your face in the sand forever, and some research suggests that ignoring the subjects of race, injustice, and inequality as they swirl around a workplace from the outside can be costly for companies. There will always be a degree of nuance and subtlety that you’ll need to exhibit when dealing with issues of inclusion, diversity, and injustice. When highlighting diverse points of view and voices, you can’t appear to be pandering to your workers. Go out of your way to find alternative voices and perspectives to common issues, but make it relevant. At the end of the day, you're trying to build a workplace that does its work efficiently, with all employees working together to advance the company’s goal. Use your platform as a company communicator to show your employees the value of a wide array of voices and contributors. Since this is all about inclusion, include as many of your employees as you can in decisions and discussions around the office, both about specific work and projects, and about larger issues and events going on outside the office. Lend your platform to all your employees and allow their voices and perspectives to enrich your storytelling and internal branding. Inclusion is all about utilizing the resources that all your employees can provide. Be a conduit for useful input from everyone. When everyone feels they are operating under the same set of rules as everyone else in the office, that their input is weighted the same as others, and that everyone is on equal footing, teams thrive. Put your team in that position by being the most inclusive employee communications expert you can be.